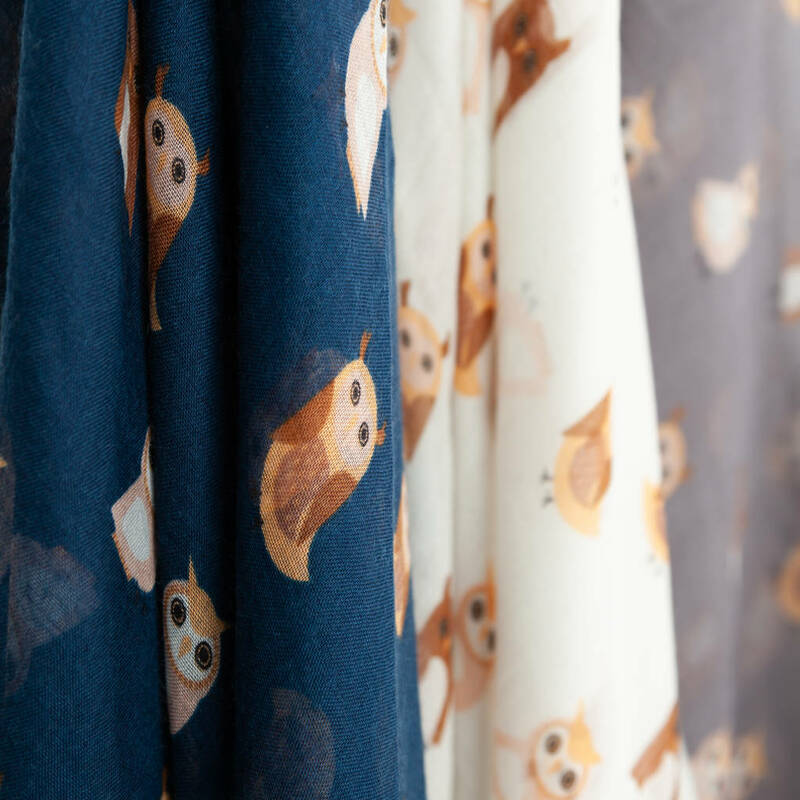 A cute and quirky, lightweight printed scarf, with a fun pattern of little owls. 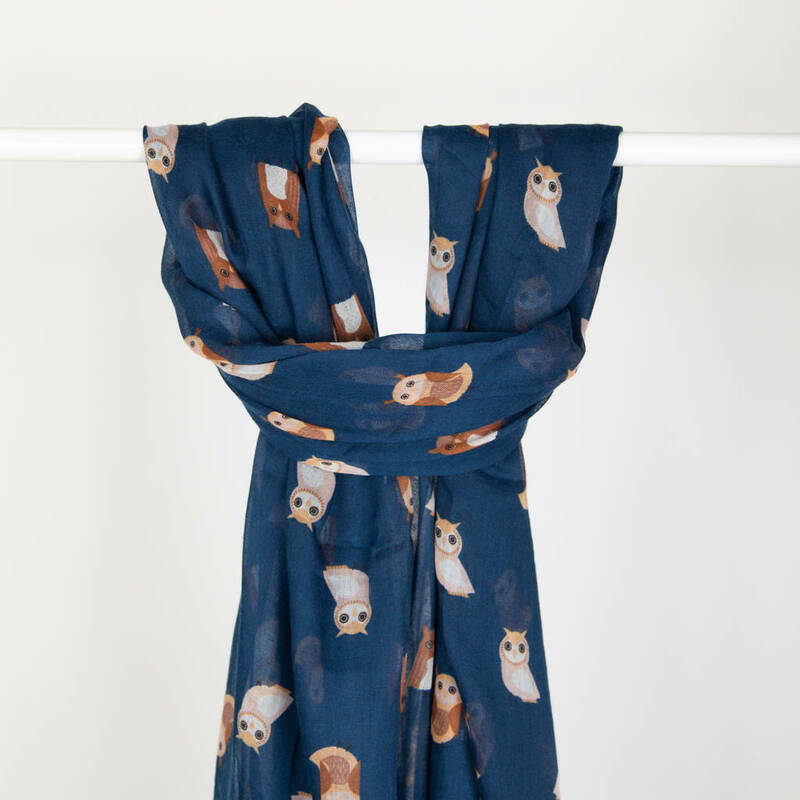 This fun scarf has a sweet pattern of little owls repeated all over the scarf. 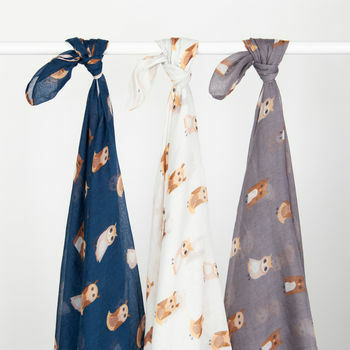 The scarf either comes on a Cream, Blue or Grey base colour, all featuring the same illustrated print of owls in soft shades of brown.